Cheaper car hire at Bastia Airport. Compare estate, cabriolet, MPV, Minibus & SUV rental rates in Bastia. Compare discounted car hire prices for Bastia Poretta Airport, in Corsica. Rent that larger vehicle for a group of people by booking early. 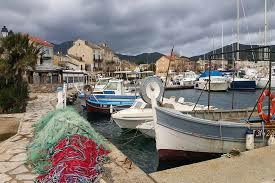 One way car rentals in Corsica incur an extra fee. We have a wide range of rental suppliers including Sixt and Enterprise. Poretta Airport, or Aeroport de Bastia, is one of the two main airports serving the island of Corsica and is situated 18km southeast of Bastia in the Borgo region of Corsica. This airport was used by the United States Army Twelfth Air Force in 1944 and was a key base until the end of the war. Bastia is harbour town situated along Cape Corse. Bastia was at one time the capital of Corsica, then Napoleon invaded and made it his home town, and now Ajaccio is the new capital. Bastia still retains a strong link with Italy. 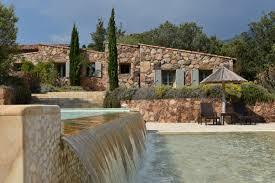 It has a Tuscan dialect still in use along the wild and unspoilt Cape Corse. 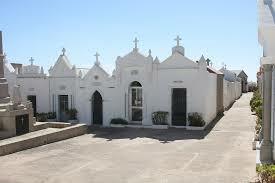 Drive and park your hire car, and then stroll through the old city know as Terra Vecchia. You will uncover sights of old Italy with narrow winding streets, lined with olive trees and whitewashed walls. The old part of town is the heart of the city with many outdoor cafes and restaurants many with Italian sounding names. The main sights are in and around St Nicolos Place. Stop at one the many outdoor cafes and enjoy the sea view, relax and recharge your batteries. For shopping, visit Rue de Napoleon and nearby Pasval Paoli. Many Italian leather shops offer genuine items at budget prices. Bastia is a rich town and owes its wealth to the new deep port designed by Napoleon's nephew. This deep port allows both tourist cruise ships and merchant ships to dock and unload. Many leisure activities exist and you may hire motorboats, or even a yacht, at the nearby Toga marina north of Bastia. Get good, lower rental cost holiday autos for Bastia Airport. Hiring motorcars in Bastia easier, cheaper here. Pre-book you minivan, convertible or SUV today. Why not book car hire at Bastia Airport today and get the vehicle you want. Should you need to amend, we will amend free of charge, unlike some of our competitors who, by reading the small print, may charge as much as 15 Euros to amend your car rental.